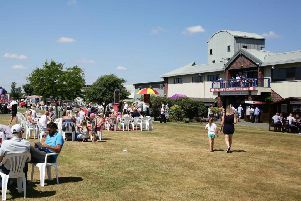 York racecourse, the scene of last week's wonderful Ebor Festival (PHOTO BY: James Hardisty). Of all the marvellous Flat racing festivals that run from Guineas Weekend in May to Champions Day in October, York’s Ebor meeting remains one of the most popular with racegoers. Thousands spend the four days in the historic city or in the surrounding Yorkshire countryside to enjoy racing at its best. I was among them for the 2017 Ebor Festival, so here is my potted day-by-day review of the action.